I've been sitting on Penny in Love, here for a few days. Well, when I say I've been sitting on Penny, I haven't been sitting on Penny herself, or the card featuring Penny, but, I wanted to share this card today. So, I sat on her! Erm, have I told you about the latest Challenge over at Make it Colourful? Pink and Kraft. That's Pink and Kraft. Don't misread the on for and, as I did!! What a cute image Faye, adorable card. Ummmm, wow! Super duper cute image, colored fabulously. Seriously how do you make the images look like they are ready to pop off the screen? Could be you have some mad photo editing skills as well. Thanks for sharing! Hope you have a great weekend! Happy Valentine's Day! 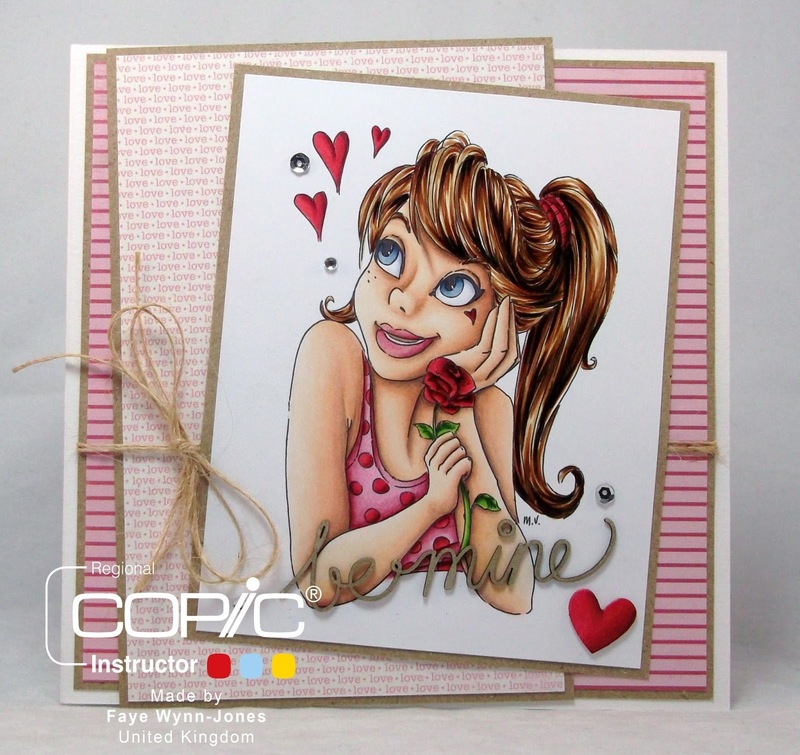 She is adorable and coloured superbly as always Faye, love it. Hells Bells you even have the shaddow on her forehead from that stray strand of hair! How'd you do that then!!!!! This is gorgeous. 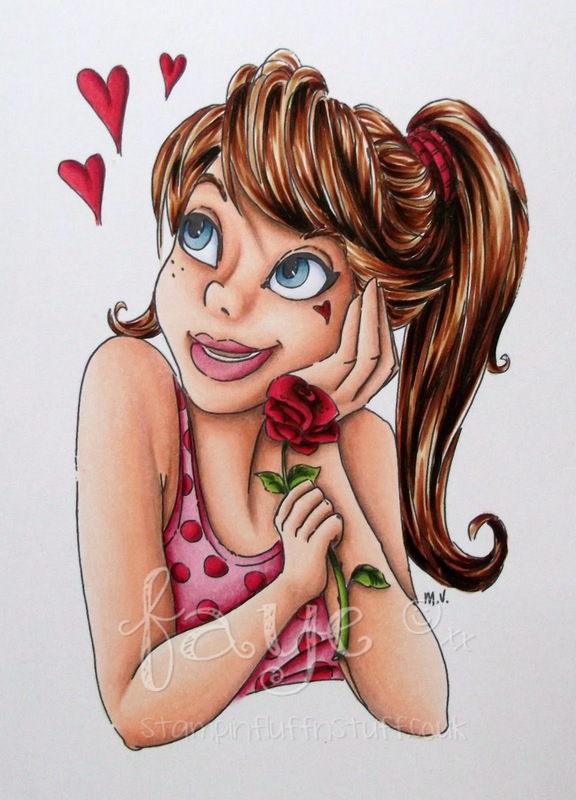 love the image and your beautiful colouring. STOP IT you dreadful temptress you!!! You already cost me enough this weekend.. so I'm keeping tight hold of my purse this time.. BUT.... I gotta say that despite being flattened after being sat on for a while, Penny looks gorgeous and so wistful... and I have no need to tell you that she's PERFECTLY coloured! I am STILL agog at your fantastic colouring. Totally agree with Your Muver! oh such brilliant coloring Faye. Think of what fun we would have if we did live next door to each other. SIGH.